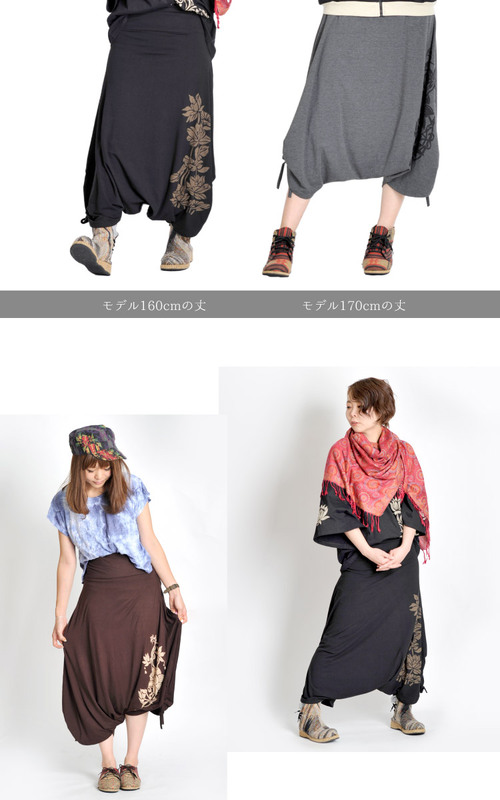 I appear in Lotus Development Corporation pattern of the sarouel pants extreme popularity of the horse mackerel rudder coordinates basic required item! 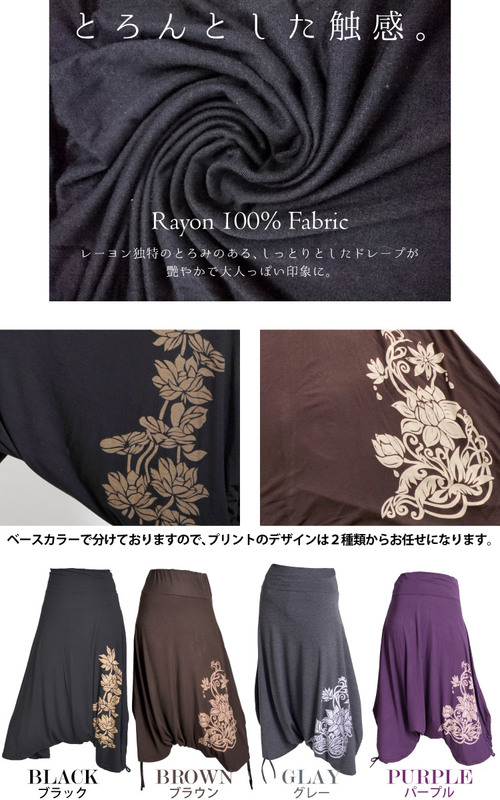 In the impression that のとろみのある peculiar to rayon, wet drape are an adult-like with luster. I appear in Lotus Development Corporation pattern of the extreme popularity! I wear it for a feeling of large size, and the feeling is the best, too! As not only ethnic coordinates but also yoga and a house coat one piece without the outstanding performance mistake! 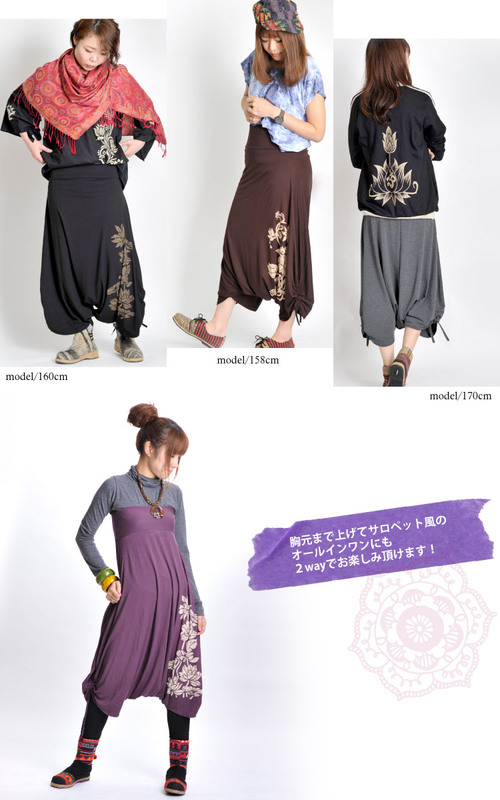 I direct ょっぴり ethnic-style to gain the circumference and differences by the design with a unique "natural feeling"! You can enjoy it in 2way! 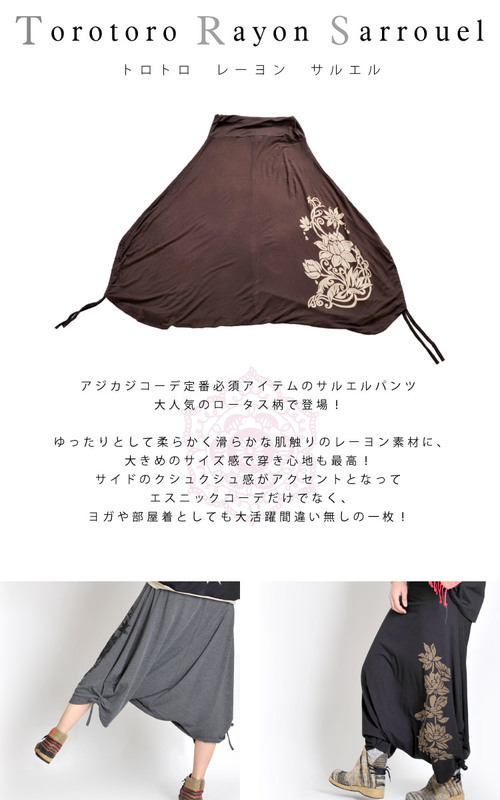 In the impression that のとろみのある peculiar to rayon, wet drape are an adult-like with luster. I appear in Lotus Development Corporation pattern of the sarouel pants extreme popularity of the horse mackerel rudder coordinates basic required item! I relax and wear it for a feeling of large size to a rayon material of the fluent feel softly, and the feeling is the best, too! 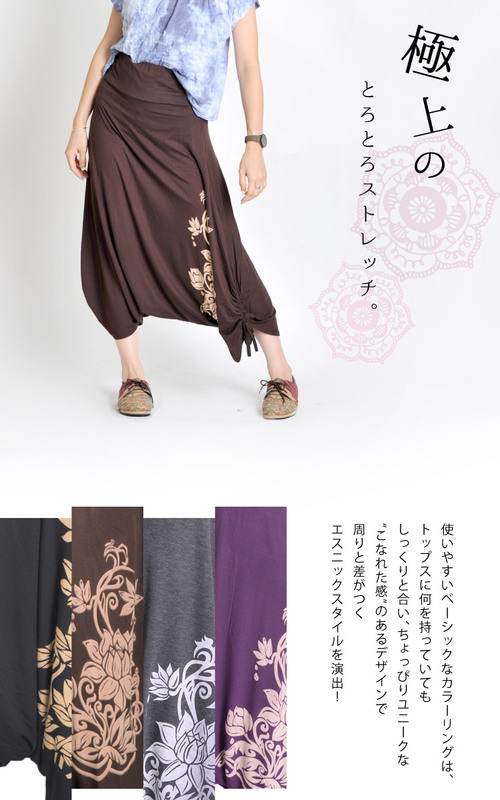 A feeling of クシュクシュ of the side accentuates; and as not only ethnic coordinates but also yoga and a house coat one piece without the outstanding performance mistake! Even if the basic coloring that it is easy to use has anything in tops, it is correct nicely and directs ethnic-style to be accompanied by the circumference and a difference by the design with a slightly unique "natural feeling"! You put it up to the chest and, in salopette-like all-in-one, can enjoy it in 2way!